Here is another Globe prepaid offer that you can consider if you want an all-in-one combo promo package. 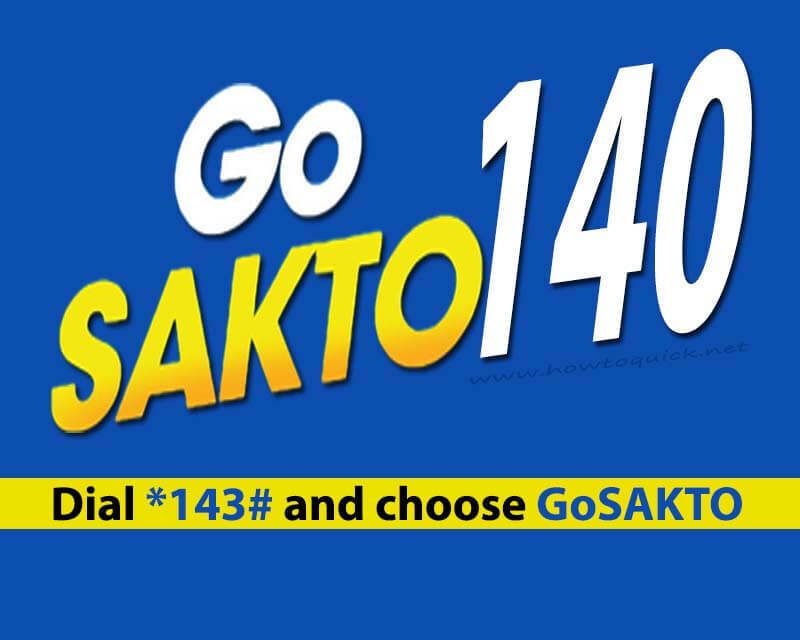 The GoSAKTO140 gives you unlimited calls and unli-texts to all networks for 7 days or 1-week for only 140 pesos. It also includes 2GB of consumable mobile data that you can use to access your favorite websites, apps, mobile games and other online or internet needed activities. This is the best fit for those who love to avail unli call and text with a longer validity period. It is less-hassle, as you only need one-time registration to enjoy all the network services included in this package. You are required to reload your account with Php140.00 then use the keyword or code provided. This offer is only available to Globe subscribers. Just text GOSAKTO140 then send to 8080 or use the promo code GOCOMBOEED140. Also available in GOSAKTO120 variant with almost same inclusions for a cheaper price. See all list of GOSAKTO promo from Globe. How to check status or balance and stop this promo? Just text the code GOSAKTO STATUS then send to 8080. You will receive SMS from Globe regarding your remaining balance, data, expiry date and other details. To terminate or stop promo your subscription, you can text the code GOSAKTO STOP and send to 8080.